The IESG has informed the authors that the FITS MIME Internet Draft has become RFC 4047. The IANA registry of MIME Media Types confirms the existence of image/fits and application/fits. The RFC Editor provides access to RFC 4047 here (http), and here (ftp), and here (index, latest first). The notion was raised again by Don Wells at ADASS as seen in the agenda of the 1996 FITS BoF. The notion was raised again by Don Wells at ADASS as seen in the agenda of the 2001 FITS BoF. The various Virtual Observatory initiatives ( NVO, AstroGrid, AVO) expect to produce standards for data and interfaces which will evolve into web services for astronomical data. Much of the astronomical data exist in FITS files. There is currently no standard means for a web server to inform a web client that it is supplying a FITS file. This proposal seeks to remedy that lack. The IETF provides a Draft Tracker which shows the current state of the FITS MIME Internet-Draft, and also a detail page which shows the history of the FITS MIME Internet-Draft. The IETF has web pages with the state transition diagram and an explanation of states for Internet-Drafts. The RFC-Editor Process is described by its own complex state transition diagram. The IANA webmaster updated the web pages of registered media types for image/fits and for application/fits. The IANA webmaster updated the web page of registered media types for image/fits but not yet for application/fits. The IESG informed Steve Allen and Don Wells that RFC 4047 is published. The IANA had not yet modified the web pages for media types application or image. The Internet Draft has vanished from the queue of the RFC Editor but it still appears in the IETF history of Internet Drafts with state RFC Ed Queue. The ietf-announce mail list indicated that RFC 4047 is available in the online RFC libraries. There was no announcement, but RFC 4047 became visible in the central repositories controlled by the RFC Editor. It is available via HTTP, and via FTP. It also appears in the indicies (e.g., latest first) and it can be retrieved from the search page. After reviewing the text Steve Allen and Don Wells informed the RFC Editor that the document which will become RFC 4047 is ready to publish. The RFC Editor informed Steve Allen and Don Wells that the revised draft was available for a 48-hour inspection period. 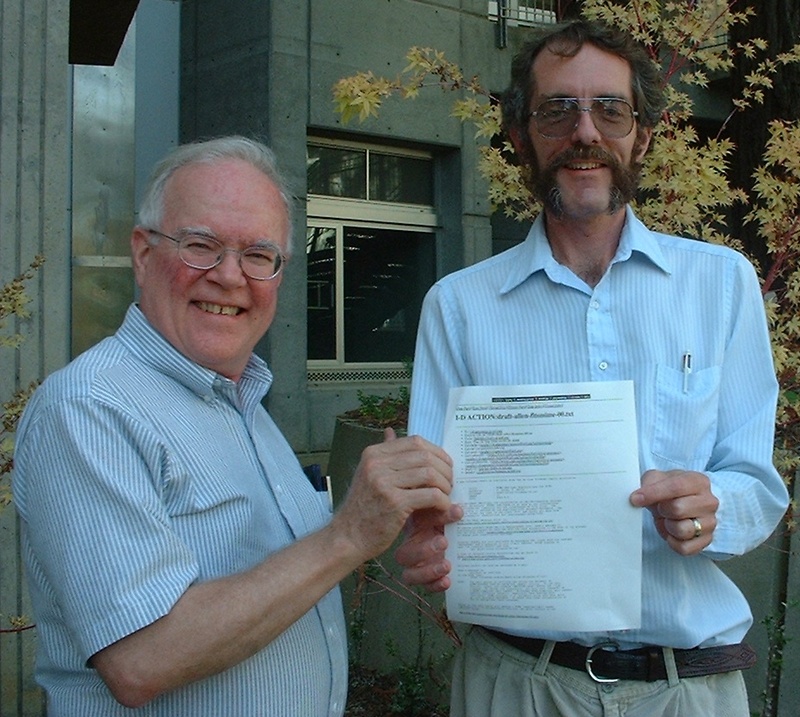 After consulting with the IAUFWG Steve Allen and Don Wells returned a list of minor edits for technical content and grammar to the RFC Editor. Steve Allen and Don Wells were informed by the RFC Editor that the edited version of the Internet Draft is now available for its 48-hour review period. In the queue of the RFC-Editor the document changed to the single state named ``AUTH48''. The text indicates that after it is published the Internet Draft will become RFC 4047. In the queue of the RFC-Editor the document changed to the single state named ``RFC-EDITOR''. This should mean that the editorial staff are now actually reviewing the text of the Internet Draft for any deficiencies. In the queue of the RFC-Editor the document changed to the single state named ``EDIT''. Presumably this means that the RFC Editor received word from the IANA that the provisional MIME media types had been assigned. The IANA has assigned provisional MIME media types for image/fits and application/fits. These are now visible on the IANA web pages for the media types image and application. The IANA asked the authors to verify the correctness of those pages, we concurred with their content, and we replied to the IANA. This leaves the remaining action between the RFC Editor and the authors, after which the IANA should change the above entries to indicate the actual RFC number. The document remained visible in the queue of the RFC-Editor with the states named ``EDIT'' and ``IANA''. The IETF meeting was held in Washington DC. The IETF acknowledged that the FITS MIME draft has been moved to state RFC Ed Queue. As seen in section 2 of the IESG announcement web page the IESG has announced the approval of the FITS MIME Internet-draft. The FITS MIME draft was moved to state Approved-announcement sent. The IETF-Announce mailing list also contains the announcement of the approval . The document became visible in the queue of the RFC-Editor with the states named ``EDIT'' and ``IANA''. This was the date of the IESG telechat. The FITS MIME draft has the requisite 9 votes to move it forward from the IESG. The results of the review should appear on the web page of the IESG. There is an openly visible IESG Ballot which shows the status of the voting. The Agenda for the IESG telechat for 2004-10-28 included the FITS MIME draft under section 3.2.1. The shepherding AD evaluated the draft and requested the 4 week period of Last Call review by the IESG. The IETF Announce mail archive contains the Last Call announcement for the FITS MIME Internet-Draft which started a 4 week review by the IESG that ended 2004-10-25. There were no comments on the Last Call in the IETF Discussion mail archive. Scott Hollenbeck became shepherding AD for the draft. He issued the Formal request for IETF-Types to review top-level MIME media types. See the IETF-Types Archives which contain only one comment (favorable) during the two week review period. Internet-Draft was posted. The circumstances of the posting are visible in the I-D mailing list archive which gives the URL for the text of the Internet-Draft. By coincidence, Don Wells stopped by Lick on the day the Internet-Draft was posted. Here is the victory photo. After the regional FITS committees approved the FITS MIME document the IAU FITS Working Group (IAUFWG) proceeded to vote. The archives of the IAU FITS Working Group are publicly available. The text of the charter for submitting the FITS MIME document is visible in this message. The results of the vote on the FITS MIME Internet-Draft were unanimously in favor of submission to the IETF. The text of the Internet Draft in the link above conforms to the format needed for submission to the RFC Editor. For ease of viewing, Don Wells has also made it available as application/postscript and application/pdf. The Internet rules assert that the text of an RFC may not be modified after it is published. However, the rules for MIME media types in RFC 2048 admit that the text of a media type registration may be modified after it is published. Therefore it is possible in the future, e.g., that ``Optional parameters'' might be added to the MIME media types if the FITS community were to decide that they are desirable. The original draft of the RFC contained much bracketed material on aspects which were uncertain. Many of the uncertainties have been removed during discussions of the fitsmime mailing list (see below). The commentary covers the reasoning behind the current form of the draft. It also mentions some items not within the scope of the RFC which deserve separate attention from the FITS community. An electronic mail list for discussing MIME media types for FITS has been setup at NRAO. The content of this list is publicly available.